Meg Mckenzie wrote to us about her uncle, Russell Clary. It’s pretty obvious why we wanted to do something special for him. And it has been a long, hard journey for Russell, but he has persevered. 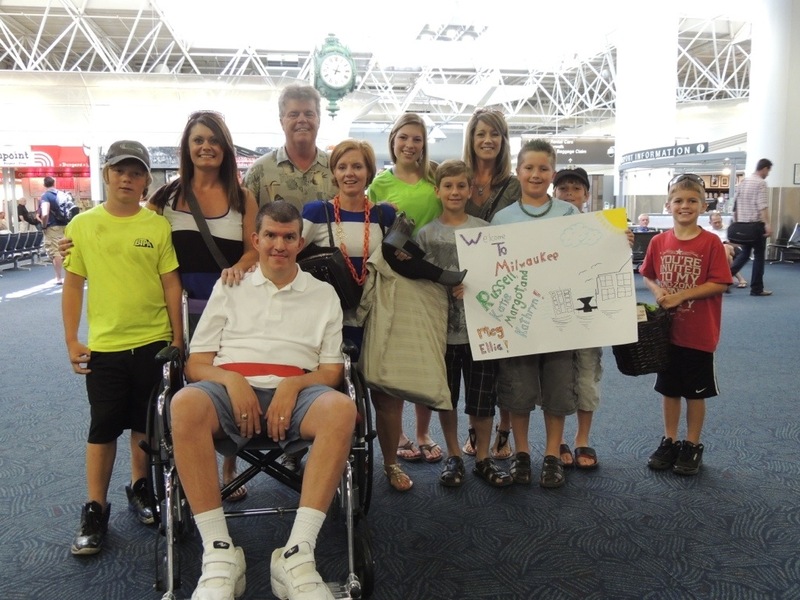 He serves as a role model and inspiration for other patients fighting the disease, their families and his community. He lives Charlotte, NC, with his beautiful wife Katie. Their two daughters are the apples of my uncle’s eye. They weren’t even teenagers when their dad was diagnosed, but through his and Katie’s love and support, they both attend the University of South Carolina now – Kathryn is a sophomore and Margot is a freshman. I know my uncle would give the world to see them finish school, to see them start their careers and their families; he’d do anything to be by their side through the ups and downs they’re sure to face. Russell has worked tirelessly to ambassador for The ALS Association’s Jim “Catfish” Hunter Chapter in North Carolina. He’s raised $82,000 for the chapter to date, and I believe he’ll top the $100,000 mark next year! He’s also won the “Largest Team Award” at Charlotte’s Walk to Defeat ALS for four years running, something that I know he’s very proud of. He’s a powerful advocate for patients and gives his all in the effort to fund support services and research. In 2009, he and his daughter traveled to Washington DC, to take part in the ALS Advocacy Convention. Russell is a well-educated man with degrees from The Citadel and the University of North Carolina. He has a love of learning that never ends. He has a passion for the universe (one of his idols is Steven Hawking) and a passion for the world. After learning about some of his passions, with the money raised for The Gleason Initiative Foundation, we decided on a trip to see his family in Milwaukee and tickets to a Paul McCartney concert. We were excited to help such an awesome guy. 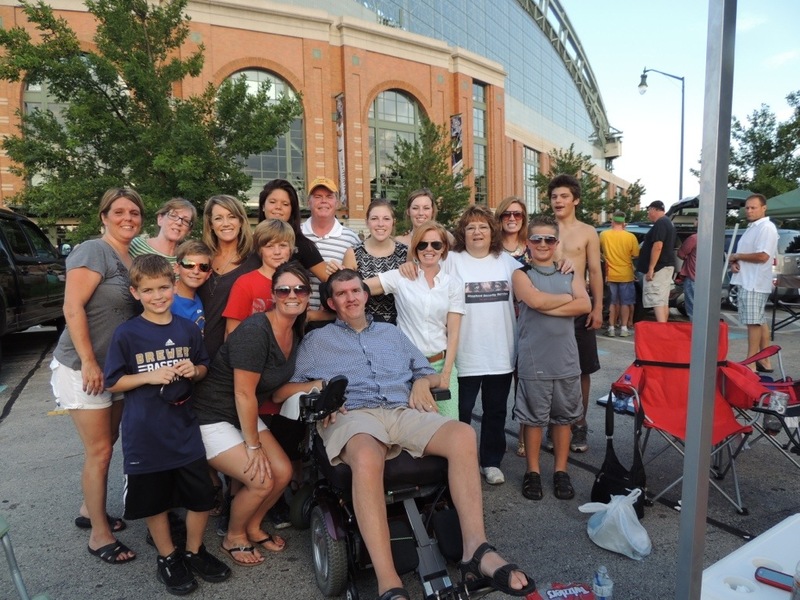 Thank you and Team Gleason so much for allowing my family and I to travel to Milwaukee and attend the Paul McCartney concert! You created an opportunity for us to spend quality time together in a way that we never could have otherwise. The logistics for the trip worked out very well. We have not traveled by plane since I have been wheelchair-bound, so the trip to Milwaukee was a little disconcerting at times. However, that was strictly a function of unfamiliarity with the accessibility issue… nothing more could have been done to prepare us for that. Once we got through it the first time, we were pros and knew what to do! The hotel accommodations were excellent, and transportation around town was perfect. I don’t think anything could have been smoother! The concert was fantastic! 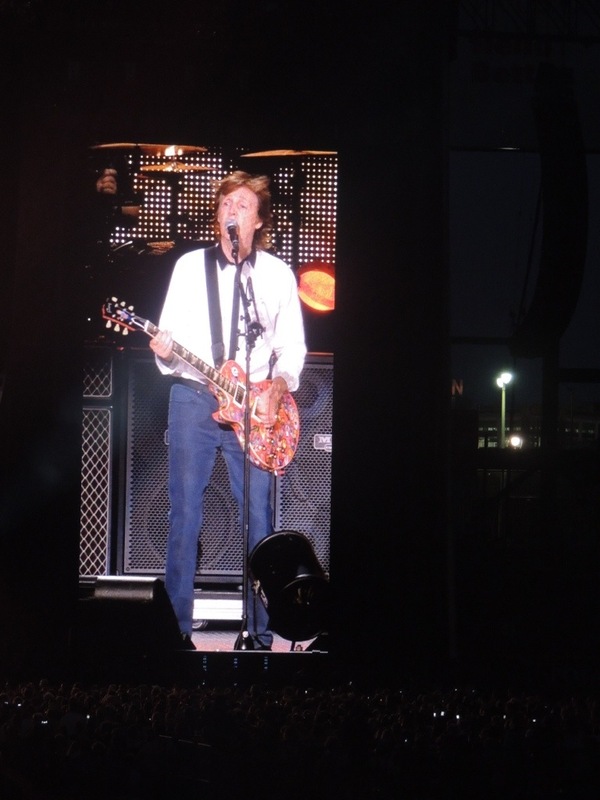 I am a true McCartney and Beatles fan, and Sir Paul was fantastic on both fronts. He played for 2 1/2 hours, and I knew every song. Movement around the stadium was easy and the seats were wonderful! I have been to many concerts in my life (including Paul himself about 25 years ago!) and there has been none that could touch this experience… incredible! 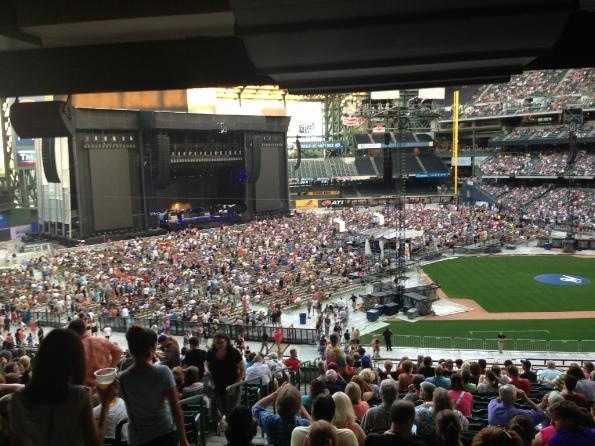 The fact that we were able to do all of this in Milwaukee made it all the more special! 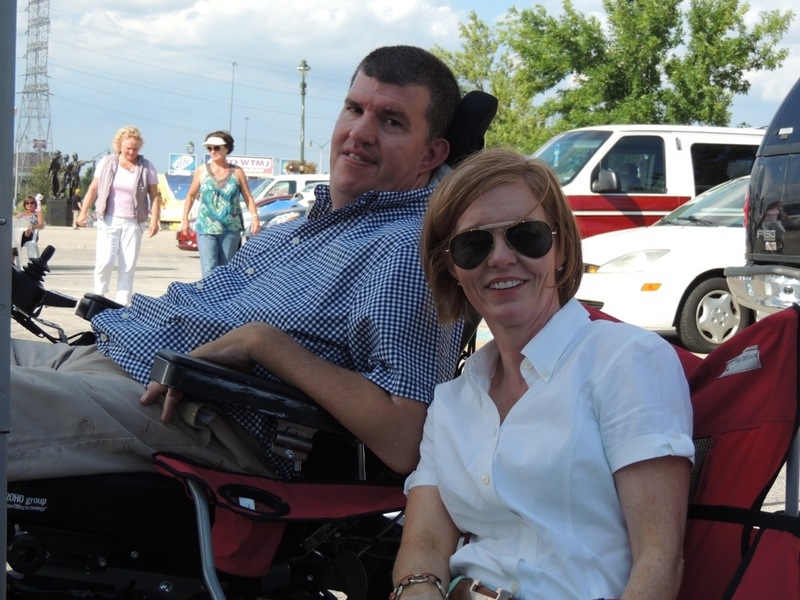 I am very proud of my niece Meg and all the work she is doing to help fight ALS. It was wonderful to see her, as well as many other family members that live in the area. Milwaukee is where my wife grew up, and she had not been back in more than 25 years. She enjoyed visiting her old stomping ground and sharing with us important places in her past. I have been following Team Gleason for a while, and have been impressed with the organization and its mission. I was very honored to be selected by Team Gleason to receive such a wonderful gift. It allowed my family to travel together and spend time together without the stress that comes with the planning and financing of such a trip. Those are the intangibles that you have provided, and for which I am eternally grateful. Please let me know if there is anything I can do for Team Gleason. I am truly indebted to the Team! What a great tribute to my son, Russell Clary! Thank you for so honoring him.